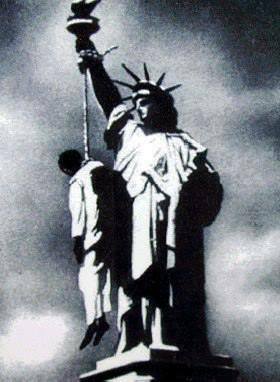 Dedicated to the victorious people of Palestine and Ferguson, MO. 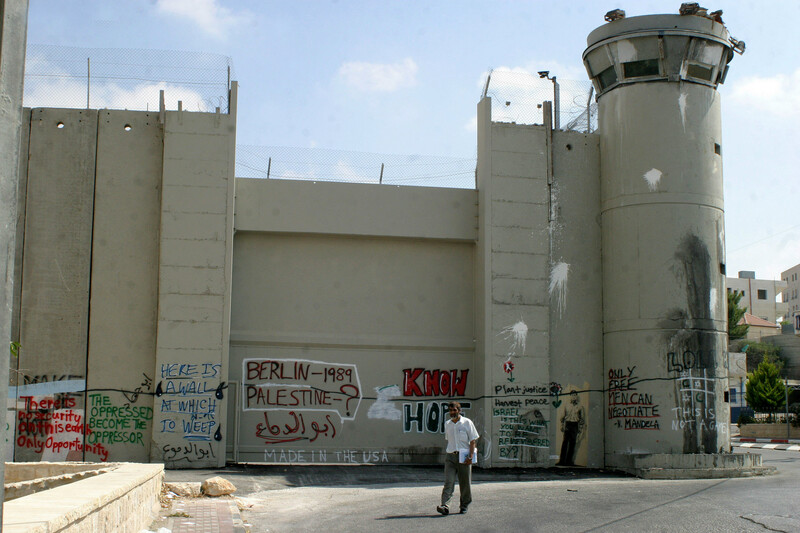 The Todo Poder al Pueblo Collective is proud to present the following perspective on the militarized operations of domestic police agencies, which are formulated, planned, and tested alongside overseas allies of U.S. imperialism, such as the Israeli Occupation in Palestine and the Gulf Arab regimes, who are united in waging war against the oppressed. Police violence towards our communities isn’t an “accident” or freak occurrence, but is the exact plan and purpose of the police and other armed bodies of occupation connected to the state. Within the United States, these practices are carried out not only through armed force, but through institutionalized violence: in Salinas, CA, counterinsurgency practices drawn up in collaboration with the U.S. Military are utilized against immigrant communities; throughout the country data-sharing programs with the federal government such as fusion centers and the poli-Migra “Secure Communities” programs have led to record deportations; meanwhile, in communities of color such as Oxnard, Fresno, Los Angeles, and Orange County, anti-gang civil injunctions have been imposed which effectively revoke the rights of residents in the affected areas. We thank Roqayah Chamseddine for writing this important article and we hope that organizers, workers, students, and families recognize the importance of studying and sharing it, and fighting back to take control of our communities. In War Comes Home: The Excessive Militarization of American Policing, published in June 2014 by the American Civil Liberties Union (ACLU), it is reported that federal programs “are arming state and local law enforcement agencies with the weapons and tactics of war with almost no public discussion or oversight.” One such policy is the Department of Defense (DoD) Excess Property Program, or the 1033 Program, which “provides surplus DoD military equipment to state and local civilian law enforcement agencies for use in counter-narcotics and counter-terrorism operations, and to enhance officer safety.” Items provided by the DoD include, but are not limited to, mine-resistant ambush protected armored vehicles, aircrafts, grenade launchers, countless machine guns, magazines, bomb suits, forced entry tools and units of surveillance. Despite this, the focus on the actions of individual officers, while warranted, should not overwhelm the discourse – the data presented by the ACLU is not only an indictment of police officers alone but of the police institution itself. Police agencies have created an environment which not only employs violence against minorities but encourages violence against them. Jerusalem Post, 3/2/14: Israeli defense firm Elbit has been awarded a $145 million contract by the Department of Homeland Security to construct a series of surveillance towers on the Arizona-Mexico border. partnership. 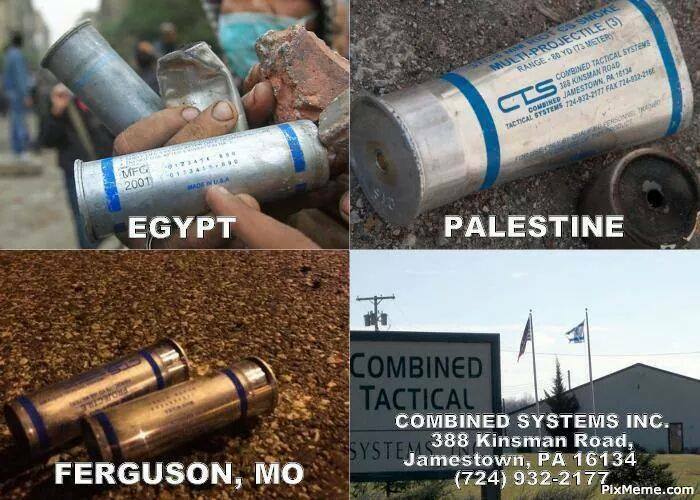 The American Israel Public Affairs Committee (AIPAC) has an entire publication dedicated to this “strategic partnership,” noting that “Israel has worked with multiple American agencies, including the FBI, NYPD, LAPD, and the Washington, D.C. Police Department.” According to the pamphlet not only have the U.S. Capitol Police undergone training in “Israeli counterterrorism techniques” but the partnership between these two colonial entities is far reaching, even beyond the scope of traditional law enforcement, with FEMA and the National Guard “often [traveling] to Israel to participate in Israeli homeland security drills.” The United States is not only learning from the brutality of the Israeli occupation forces but sharing their knowledge with other nations. The Middle Eastern Law Enforcement Training Center, which is co-sponsored by the FBI and the U.A.E. at the Dubai Police Academy, where FBI agents offer special training courses that “[involve] many aspects of law enforcement, including ways to combat white-collar crime, violent crime, forensics and counter-terrorism.” The United States also conducts military exchange programs in places like Egypt where US forces and Egyptian forces take part in joint military exercises, and offers FBI training to Egypt’s secret police who “routinely tortured detainees and suppressed political opposition” according to victim testimony. 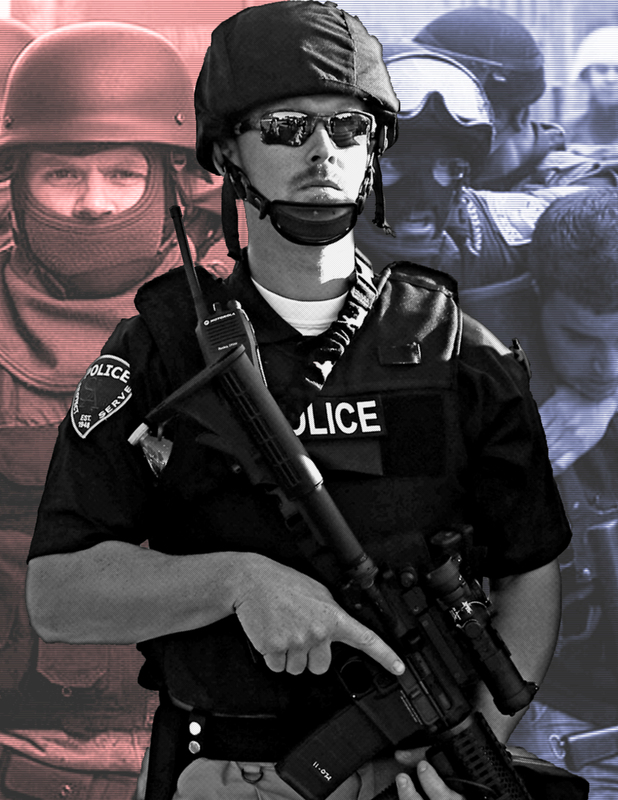 Police institutions, which continue to work and expand under the guise of law while merging with the most prominent characters behind war-making, including the arms industry, lobbyists, and politicians, demand that communities, most often those of color, surrender what little autonomy they have so that they may receive “protection.” That they are ever permitted to collect on this guardianship is of no consequence because these institutions define protection and determine, for everyone, what is a most satisfactory response to any and all actions on the part of the community members. US police forces uphold white supremacy with their racist implementation of violence, where in places like Ogden, Utah, Black people “were 40 times more likely to be impacted by a SWAT raid than whites were,” according to the ACLU. These forces work towards the preservation of capitalism, and the police, as an institution, use elitism, violence and authoritarianism in order to preserve the state. 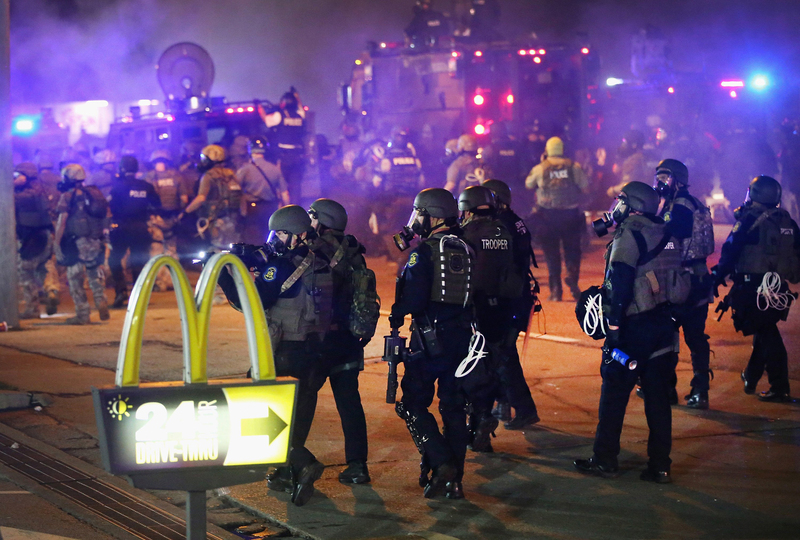 Decentralization is not only possible but proving to be a necessary process in order to dismantle the structuralized and militarized brutality that communities of color face at the hands of racist paramilitary police forces. The police have proven that they are not accountable to the communities they allegedly “serve and protect,” and so in order to implement restorative justice the institution itself should be dismantled and replaced with an organization that is transparent, represents the diversity of these communities and which, most importantly, is limited in regards to the scope of the organization’s power. 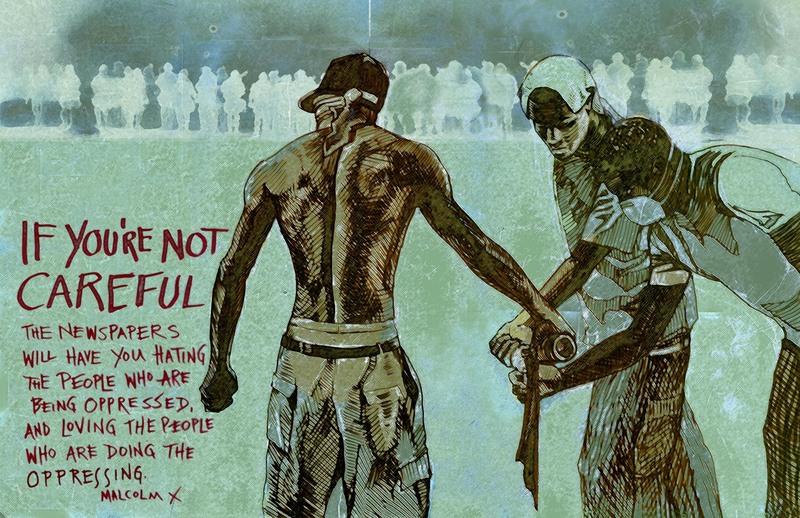 Artwork by Corina Dross: New poster to raise money for those arrested in Ferguson. All profit goes to Anti-State STL, who are organizing financial support for folks on the ground.